GDPR is a European Union (EU) privacy law that impacts businesses around the world. This law regulates how companies use personal data of users located in the European Union. If a business collects, transmits, modifies or stores any personal data of EU citizens, they need to comply with GDPR. GDPR replaces few older directives and introduces essential changes that may affect Beaconstac users. If you, or your use of Beaconstac, are subject to EU data protection law (including the GDPR), we’ve updated your obligations when using our platform to reflect the new requirements under the GDPR. We’ve reaffirmed Beaconstac’s commitment to the responsible collection, use, transfer, disclosure, and management of your personal information. Finally, Beaconstac is a data controller and not a data processor. Also, all our third-party partners who do process our data are GDPR compliant and have data processing agreements in place. What is Beaconstac’s approach to GDPR? Our beacon campaigns are related to consent and individual rights to help you comply with the GDPR. As for our customers, we may use personal information for administering their use of our service, to better understand their needs and interests, understand and improve your product, serve relevant ads and more. Does GDPR apply to the United States? No, GDPR does not regulate how you use personal data of users located in the United States. However, in the US other regulations by FTC protect consumers from unfair or deceptive acts or practices. In which countries does GDPR apply? GDPR applies to all EU member nations including Austria, Belgium, Bulgaria, Croatia, Republic of Cyprus, Czech Republic, Denmark, Estonia, Finland, France, Germany, Greece, Hungary, Ireland, Italy, Latvia, Lithuania, Luxembourg, Malta, Netherlands, Poland, Portugal, Romania, Slovakia, Slovenia, Spain, Sweden and the UK. Does GDPR apply to the UK as well? Yes, it does. Check out this document for further details. As a current Beaconstac customer how can I prepare for GDPR? 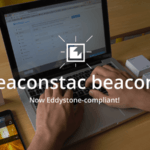 Given that Beaconstac or beacon technology does not collect personal, identifiable information of consumers engaging with your beacons, there is no specific action that needs to be taken at your end. However, if you use other supporting systems along with beacons, decide to redirect users to custom URLs (your websites), or integrate beacons with digital signs etc., then please look into the GDPR compliance of those individual tools or platforms. If you have specific questions about the GDPR and your use of Beaconstac, you can email legal@mobstac.com.